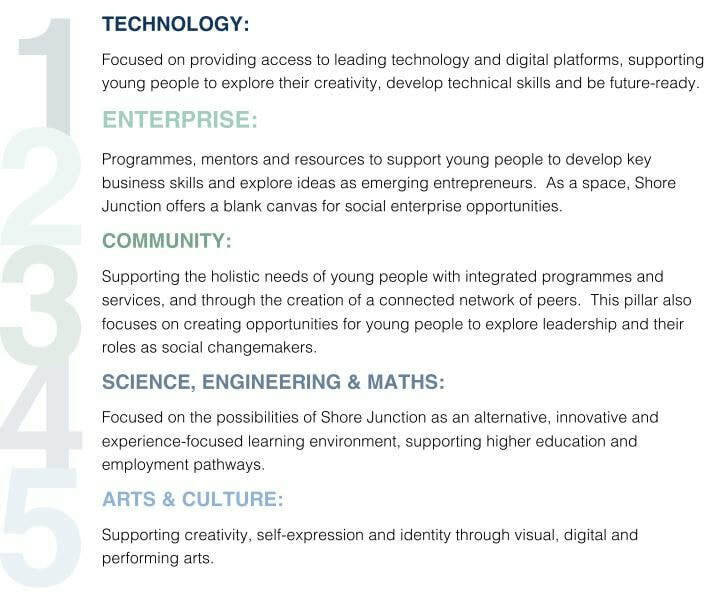 Shore Junction has identified five key pillars that will shape programme delivery. ​These pillars or programme areas embody our overall strategic intent, and best respond to our intentions for impact. They also represent the areas where the needs identified by young people, their ideas and aspirations, and evidence of effective practice best converge. Offer integrated programmes and services that enhance youth well-being. Enable young people to engage with their wider community and grow their impact as young social change-makers.